Diabetes Menu Planning: What Do I Eat? A so-called "diabetic diet" is not a life sentence to a rigid and restrictive menu plan (and the concept of a diabetic diet is mostly myth). 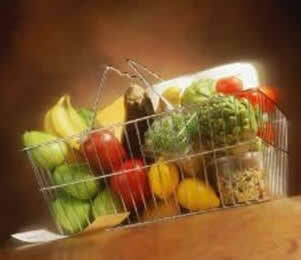 Instead, nutritional management of diabetes is a lifestyle that balances moderation and healthy food choices. A registered dietitian, preferably one who is also a certified diabetes educator (CDE) or experienced in diabetes care, is an essential resource for learning more about individualized menu planning and food choices with diabetes. While food is a factor in both type 1 and type 2 diabetes management, the rationale behind dietary adjustments in each is different. Those with type 1 diabetes base their insulin dosage in part on what they eat. Those with type 2 diabetes often use their dietary choices as a method (for some, the primary method) of controlling their blood glucose levels. Learning how to calculate carbohydrate grams and account for other important food factors, such as fiber intake, is essential to good blood glucose control for people with type 1 diabetes. If you are on standard insulin therapy (i.e., your insulin doses stay the same from day-to-day), you need to consume roughly the same number of carbohydrate grams daily to avoid blood sugar highs and lows. People on standard insulin therapy generally use simple carbohydrate counting, which sets a certain number of insulin units for every 15 grams of carbohydrates eaten (15 g=1 carb choice). Your healthcare team can help you determine the appropriate amount of daily carbohydrates for your particular insulin regimen. People who are overweight or obese have weight loss issues to take into account when developing an eating plan. A registered dietitian experienced in diabetes management can help determine the optimal daily amount of carbohydrate and calorie intake. Exercise is anintegral part of any weight loss routine, so patients with type 2 diabetes should work with their healthcare team to create a safe and effective individualized fitness plan. Those with type 1 diabetes who are controlling their diabetes with flexible insulin therapy are able to adjust the amount of insulin taken before a meal to counteract, or “cover,” the grams of carbohydrates that are about to be eaten, which also allows them to vary their carb intake from day to day. Insulin dose is calculated based on an “insulin to carbohydrate” ratio that establishes a set number of insulin units for a certain quantity of carbohydrate grams. The insulin to carbohydrate ratio varies from person to person; work with your healthcare team to determine what ratio is right for you. One of the main treatment approaches for type 2 diabetes is medical nutrition therapy (MNT). In simplest terms, MNT is adjusting dietary intake to minimize dramatic highs and lows in blood glucose and keep levels within a safe target range. Carbohydrate counting if a useful tool for keeping diabetes under control. In addition, as weight and body mass decreases in type 2 patients, so does insulin resistance, so MNT and any medication regimen should be constantly re-evaluated to ensure blood glucose levels stay within a safe range. Medical complications of diabetes such as high blood pressure, cardiovascular disease, or kidney disease may require some dietary adjustments (i.e., sodium, fat or protein restriction). Again, a registered dietitian can help build a meal plan that fits all your individualized medical needs.